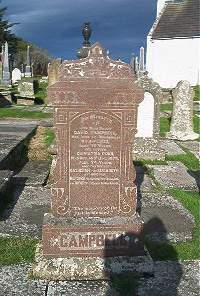 David Campbell died at Benechielt 8th April 1877 aged 79. Wife Christina Donn died 14th July 1876 aged 76. Daughters Catherine Campbell and Elizabeth Campbell. Son Murdoch Campbell died New Zealand. Son David Campbell died South Africa.